We understand the urgency of a situation where water is flowing through a hole in your roof and offer emergency roof repair services to protect your home from further damage. While an emergency repair is a temporary repair, we’ll secure your home for the time being and then return when conditions are better to perform additional, long term repairs. Corpus Christi’s roof tops are susceptible to a number of damaging conditions including high winds, fallen trees, and severe storms. 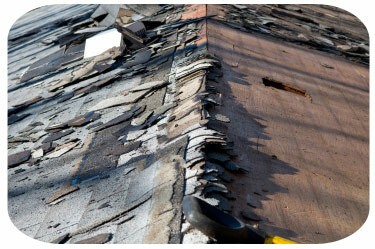 Damage can range from a few loose shingles and roof pitting to roof leaks, holes, and even blown off roofs. Whether your roof is aging and deteriorating or you’re building a new home, our Corpus Christi roofers are ready to provide you with a brand new roof. Before we begin, we thoroughly evaluate your existing roof to make sure that a replacement is necessary and discuss all architectural considerations. Taking your budget, neighborhood, personal taste, and home’s style into consideration, we will recommend a course of action. Together, we’ll design a new roof that best meets your needs. We believe in a simple phrase: Quality Counts. Your roof has a serious job to do and can do that job far better when it has been crafted by expert roofers using quality roofing materials. We work with you to select quality materials in your price range. Whether you need your roof inspected as part of the home selling process or simply want peace of mind that your roof is in good condition, our roof inspections are thorough. When your home needs a new roof, depending on the roof type and current condition, the original roof may need to be removed and disposed of completely. This takes special skills and equipment. Because of safety considerations and the expertise required to remove a roof, do not attempt this job on your own.